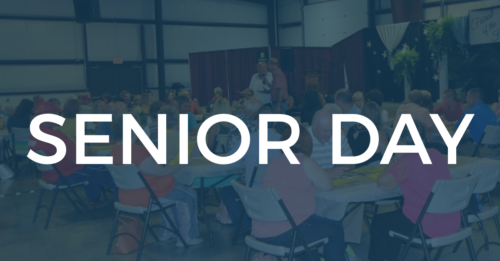 Senior Day at the Smith County fair will be on Tuesday, July 3rd, 2018 from 9:00 a.m. to 3:00 p.m. 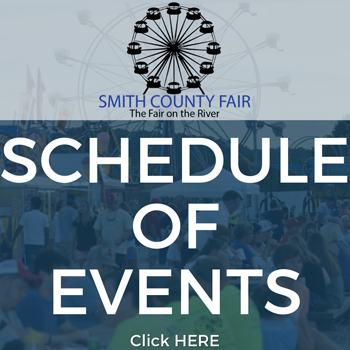 Admission to the fair is FREE for the first 100 Smith County Seniors age 60 & Over. Admission ticket is valid Wednesday through Saturday night. Can be used 1 night only. Hillbilly Golf – 1:00 p.m. Horseshoe Pitching – 3:00 p.m.
SPACE IS LIMITED! Only the first 100 Senior Citizens 60 years or older to register at the Senior Citizens Center will receive admission and a FREE BOX LUNCH. You may sign up anytime between now and June 23. For more information, call Jan Johnson at 735-0560 ext.#6. Bottled water will be furnished by the Smith County Senior Citizens Center & Nestle Waters.